This week’s “What I Ate Wednesday” post comes from Singapore; I’m back home for a bit before continuing with my travels. Not only is yummy tropical fruit readily available in Singapore, but there’s also a large range of vegan food options available island-wide (to see a summary, check out my post here). 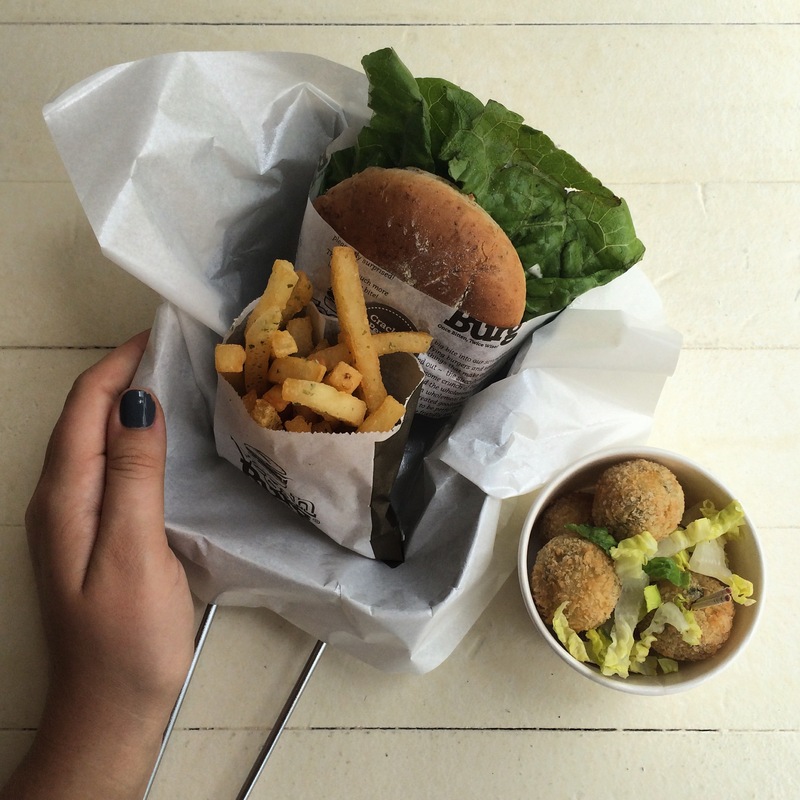 Here is what I eat on a typical day in Singapore! 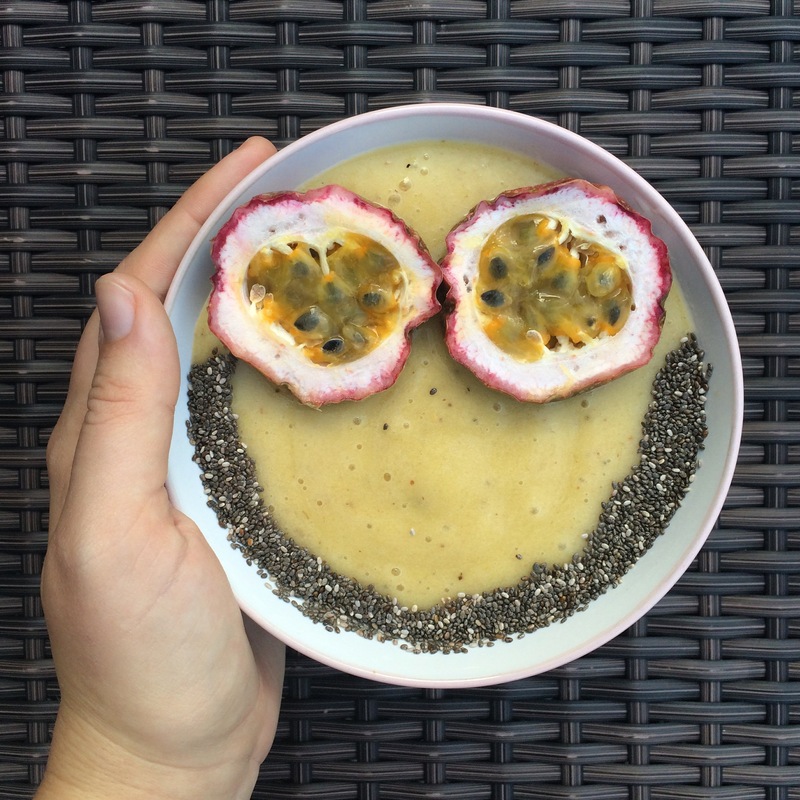 What better way to start the day then with a smiling smoothie bowl? This was a mango and banana smoothie, topped with passion fruit and chia seeds. For lunch I headed to my favourite vegan restaurant: Veganburg. This place has so many different vegan burgers to choose from, this time I went for the cracked mayo burger. With a side of fries and spinach pops, this was such a delicious lunch. I’ve missed tropical fruit like dragon and passion fruit, so I’m feasting on them as much as possible while I’m here. 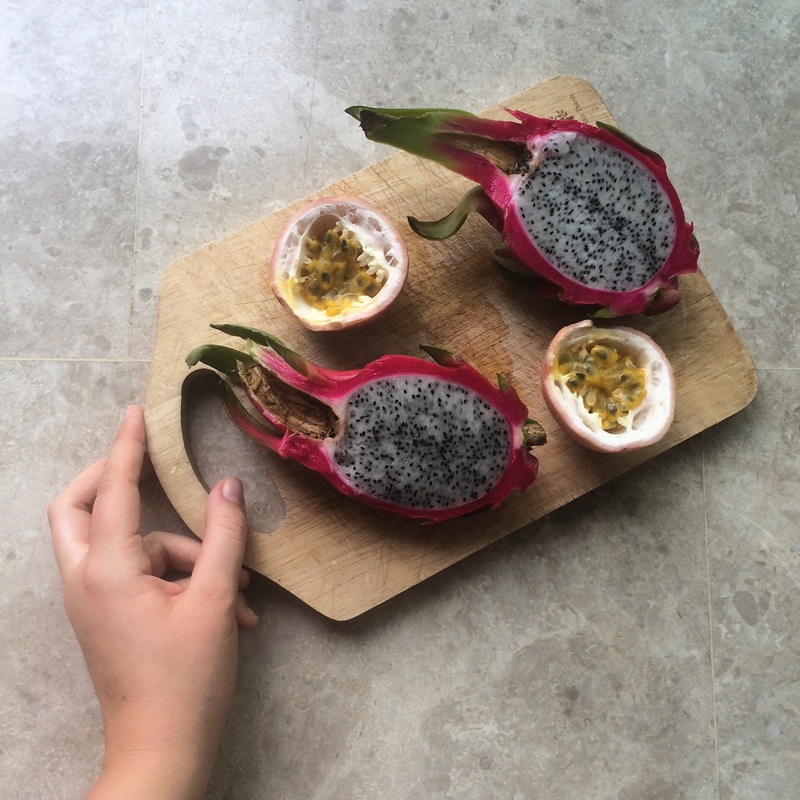 If you’ve never tried it, top your dragon fruit with passion fruit; it’s the ultimate combo. I’ve been getting into making my own fresh spring rolls the past few weeks, and this dinner turned out pretty well. 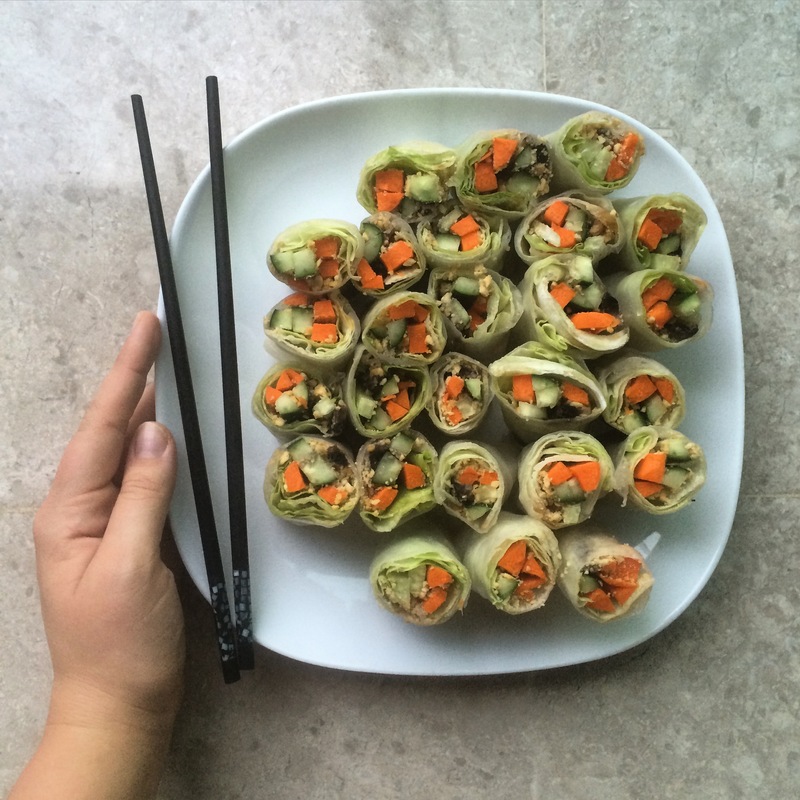 I filled them with lettuce, carrot, cucumber and peanuts. This is such a flavourful yet light dinner, perfect for hot tropical weather. 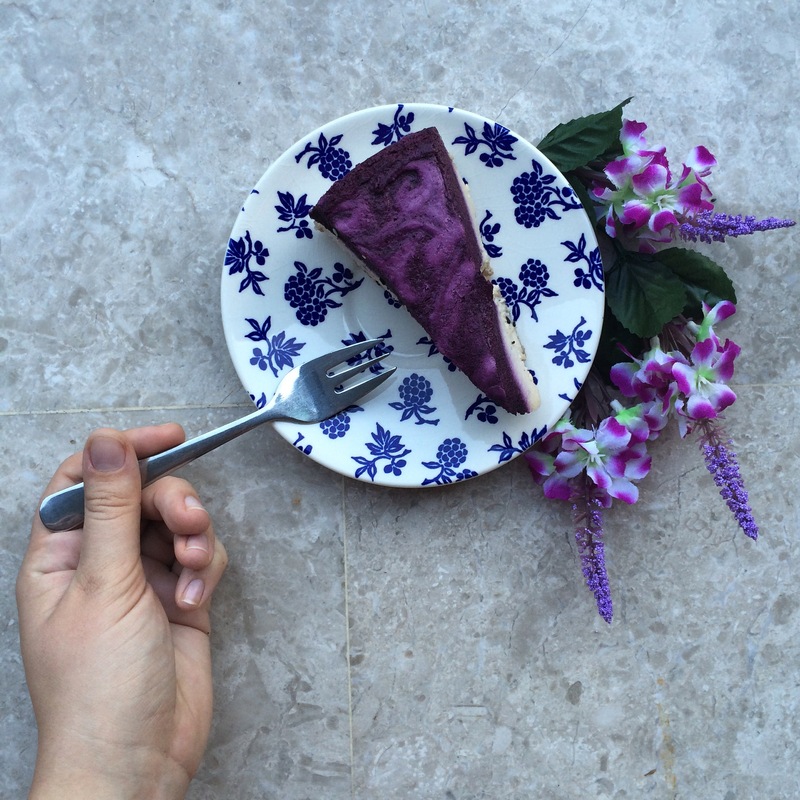 Always leave room for dessert, especially when it’s raw vegan blueberry ‘cheese’cake! I got this beauty from The Living Cafe, in Singapore. They have some of the most amazing vegan desserts, and I find an excuse to treat myself to them as much as possible. What’s your favourite vegan dessert?